Pollinators like bees and butterflies are vital to our existence, but some of their species are declining. Xcel Energy is doing our part to help, and we’re working with partners to make a positive impact in the community to protect the creatures large and small. We’ve been supporting the development and maintenance of pollinator habitats for over 30 years, and we’re not giving up. More than 2,100 acres of pollinator habitat in Minnesota, North Dakota and Wisconsin. 44 active pollinator habitat sites ranging from .25 to 800 acres on various company property including under transmission lines, around substations, power plants, community solar gardens, a wind project and company office sites. View photos of some of our habitats. Map (PDF) of current and potential sites. 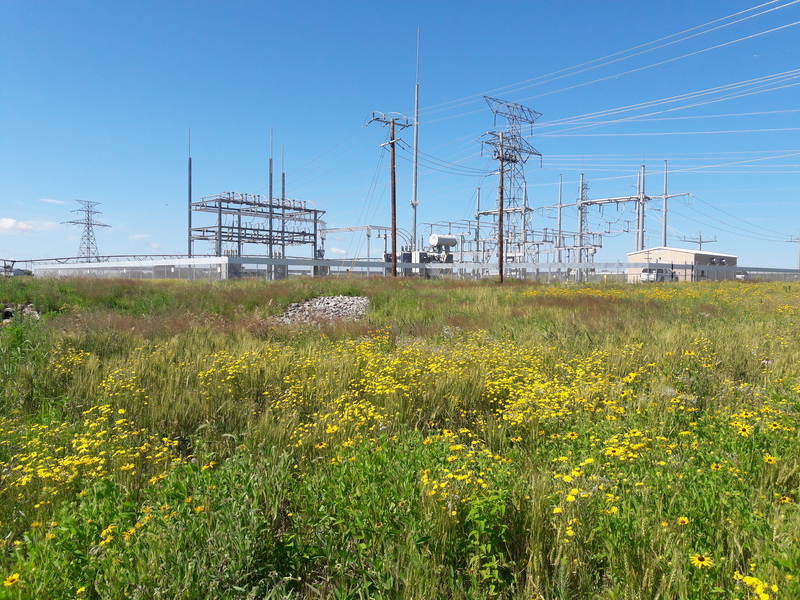 Xcel Energy partnered with the City of Burnsville and worked to restore a native prairie in 2018 to plant three acres of native prairie under our transmission lines. We are also restoring native habitat next to our company headquarters in Eau Claire. 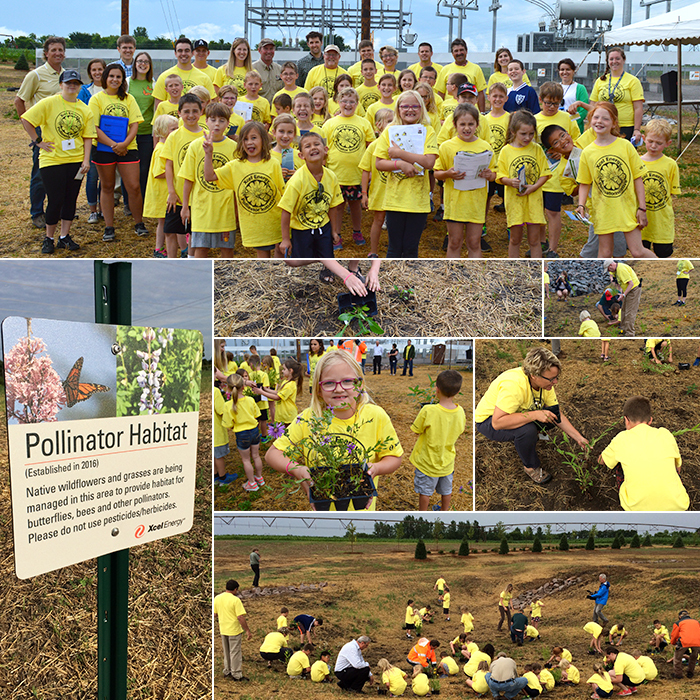 In May 2018, we planted a pollinator habitat in Minot, North Dakota outside the new Magic City Substation. Xcel Energy crews partnered with the U.S. Fish and Wildlife Service to plant 40 acres of native seed. In 2017, we partnered with the city of Bloomington to plant a six acre habitat under our transmission lines. Lawmakers, community leaders and children from Valley View Elementary assisted with planting flowers at the site. In 2016, we planted a seven acre pollinator habitat around our new First Lake Substation in Monticello, Minnesota. A commemoration event was held at the substation in July 2016. School kids were invited to help with the planting. Only a year later, pictured below, their hard work paid off as the habitat has grown substantially. In 2015, we signed the Pollinator Pledge committing at least 50 acres in the St. Croix River Valley to pollinator-friendly habitat. The Pollinator Pledge is an initiative launched by the National Park Service, the U.S. Fish and Wildlife Service, and the U.S. Forest Service. 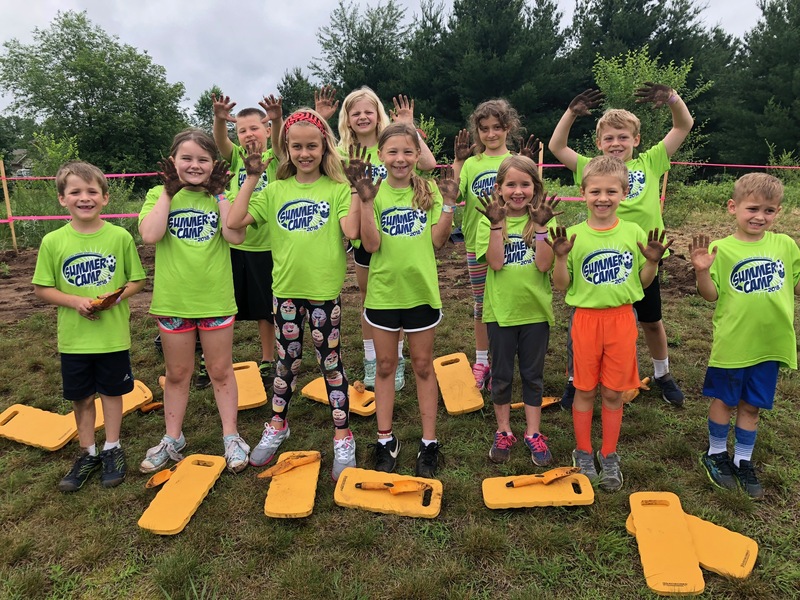 In addition, in 2015 crews planted native pollinator plants on seven acres of new transmission line right of way at a Boy Scout camp near Town of Holland, Wis. In 2008, we restored 20 acres of native prairie land around the High Bridge Generating Station in St. Paul. In 2005, we partnered with the City of Cottage Grove and the Minnesota Department of Natural Resources to restore 60 acres of native prairie habitat in large areas of right-of-way under Xcel Energy transmission line in the city.